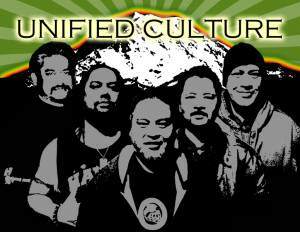 The band Unified Culture is a tough and hard hitting original reggae band currently playing out of Seattle, Washington and other parts of the Pacific Northwest. Unified Culture uses a unique combination of roots reggae and dancehall rhythms, blended together and dubbed out live. With and emphasis on wicked intros, mixes, heavy bass lines and catchy saxophone licks, their live roots and contemporary styles leaves a lasting impression for all to enjoy.